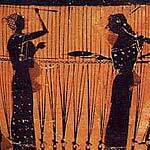 The gods of the underworld were named "Theoi Khthonioi" or Chthonian gods by the Greeks. They were ruled by the grim god Hades and his queen Persephone. The term "Chthonic gods" was also used for the closely related gods of agriculture. 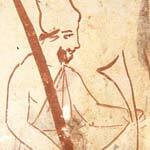 AEACUS (Aiakos) One of the three judges of the dead in the Underworld. 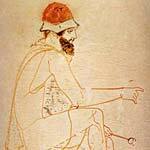 He was originally a king of the island of Aegina who obtained his position as a reward from the gods. ACHERON (Akheron) The god of the underworld river of pain whose brackish stream guarded the borders of Hades. Charon ferried the souls of the dead across his waters. AMPHIARAUS The prophetic Daemon of a subterranean oracle at Oropus in Boeotia. ARAE (Arai) The underworld Daemones of curses. 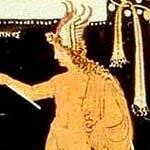 ASCALAPHUS (Askalaphos) An underworld Daemon who tended the orchards of Hades. He was transformed into a screech owl by Demeter as punishment for reporting that Persephone had tasted the pomegranate seed. CACODAEMONES (Kakodaimones) Evil spirits which issued forth from the underworld to cause harm. 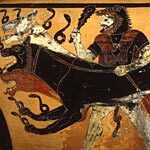 CERBERUS (Kerberos) The mighty, three-headed, serpent-maned hound of Hades who guarded the entrance to underworld. CEUTHONYMUS (Keuthonymos) A mysterious underworld Daemon. He was the father of Hades cattleman Menoetes. CHARON (Kharon) An underworld Daemon who ferried the souls of the dead across the streams of Acheron into Hades. His fee was a single coin which was placed beneath the tongue of the dead. COCYTUS (Kokytos) The god of the underworld river of tears and wailing. CORE (Kore) "The maiden," another name for Persephone. CRONUS (Kronos) The old king of the Titans. He was appointed king of the islands of the blessed, the home of the favoured dead, by Zeus after his release him from the prison-house of Tartarus. DAEIRA An underworld Nymph and companion of the goddess Persephone. 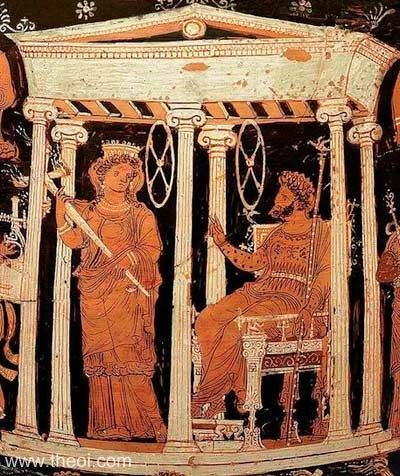 She was connected with the Eleusinian Mysteries. EMPUSA (Empousa) A monstrous underworld Daemon with flaming hair, the leg of a goat and a leg of bronze. She was the bogey-monster in Greek fable. EPIALES The underworld Daemon of nightmares. 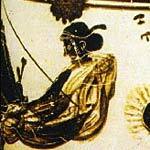 He was related to the Oneiri or dream-spirits. EREBUS (Erebos) The primeval god of darkness. Like the other protogenoi he was elemental, being the substance of darkness, rather than a man-shaped god. His mists encircled the underworld and filled the hollows of the earth. ERINYES The three goddesses of vengeance and retribution. They were called forth from the underworld to inflict suffering and madness upon the evil-doer, to bring drought and famine to nations, and punish the souls of the damned in Hades. EURYNOMUS (Eurynomos) An underworld Daemon who stripped the flesh from the corpses of the dead. He was described with blue-black skin and was possibly imagined with a vulture's head. GORGYRA An underworld Nymph. She was the wife of the River-God Acheron. HADES (Haides, Aidoneus) The grim King of the Underworld, the ruler of the dead. He received his dark domain when the three sons of Cronus drew lots for the division of the universe. HECATE (Hekate) The goddess of magic, necromancy and the haunting ghosts of the dead. She who issued forth from the underworld with a train of torch-bearing Lampades, demonic Lamiae, ghosts and hell-hounds. 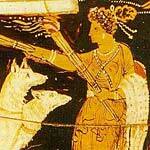 Hecate was the minister of Persephone. HERMES CHTHONIUS (Khthonios) The guide of the dead who led the ghosts to their final resting place in Hades. HYPNUS (Hypnos) The god of sleep who dwelt in a silent realm on the borders of Hades. He issued forth from the underworld with his mother Nyx the Night. KERES Monstrous she-Daemones of violent death and disease. They presided over the battlefield carnage, driving the weapons of death and tearing free the souls from the dying. LAMIAE (Lamiai) Underworld Daimones in the train of the goddess Hekate. They were vampiric monsters who assumed the forms of beautiful women to seduce and devour young men. LAMPADES Torch-bearing underworld nymphs in the train of the goddess Hecate. They may have guided the spirits of the blessed dead (initiates of the Eleusinian Mysteries) to their final resting place in Elysium. LETHE The goddess of the underworld river of oblivion. The souls of the dead tasted her waters to forget their former lives. LEUCE (Leuke) A Nymph abducted by teh god Hades to the Eleusinian fields where she was transformed into a white poplar. MACARIA (Makaria) The goddess of blessed death or else the leader of the blessed dead (i.e. 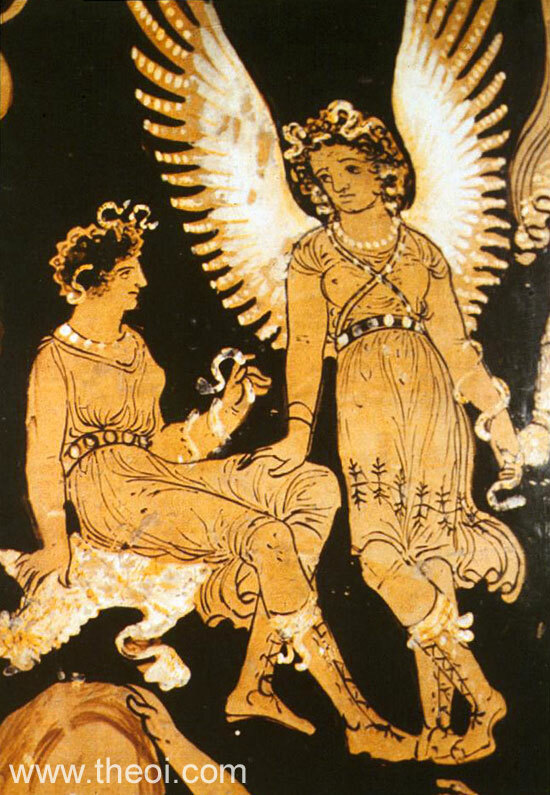 initiates of the Eleusinian Mysteries). She was a daughter of Hades. MELINOE A frightful underworld Daemon who led ghosts forth from the underworld to haunt the earth. One side of her body was coloured pitch black, the other was stark white. She was probably identical to Hekate. MENOETES (Menoites) An underworld Daemon who herded the black-skinned cattle of Hades. 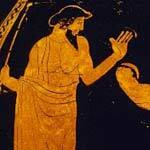 He was wrestled by Heracles who cracked his ribs. MINOS One of the three Judges of the Dead. 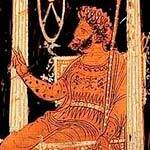 He was originally a king of Crete, who was awarded his position in Hades as a reward for the establishment of laws on earth. MINTHE An underworld nymph loved by the god Hades. She was turned to dust by Persephone, and these remains into a mint plant by Hades. MOIRAE (Moirai) The three goddesses of fate. They were sometimes portrayed as ministers attendant on the throne of Hades. MORMOLYCEIA (Mormolykeia) Underworld Daemones in the train of Hekate. They were the similar to the Lamiae. NYX The primeval goddess of the night. She issued forth from her home in the underworld trailing her dark mists across the sky. ONEIRI (Oneiroi) The Daemones of dreams. They issued forth from the underworld at night through one of two gates : those who passed through the gate of horn brought false, lying dreams ; while those who passed through the ivory were messengers of truth. ORPHNE An underworld nymph, the wife of the river Acheron. 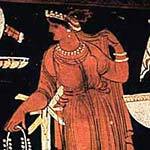 PERSEPHONE The goddess Queen of the Underworld. She was abducted to the underworld by Hades to become his bride. 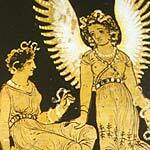 But her mother Demeter, secured her partial release, allowing her to return to the earth for six months of the year. Her annual return marked the coming of spring, whilst her descent in Hades brought on the barren months of winter. PYRIPHLEGETHON The god of the infernal river of fire. RHADAMANTHYS One of the three Judges of the Dead and king of the Elysian Fields, home of the favoured dead. He was a famously just lawmaker who was appointed this position as a reward after death. STYX The goddess of the underworld river of hate, whose streams encircled the entire realm of the dead. The gods swore their most solemn oaths by her pitch-black waters. TARTARUS (Tartaros) The primeval god of the dark, stormy pit which lay beneath the foundations of the earth and beneath even the realm of Hades. Tartarus himself was the pit, rather than a man-shaped god. His realm was the prison of the ancient Titan gods, sealed on all sides with walls of bronze, and guarded by the hundred-handed Hekatoncheires. 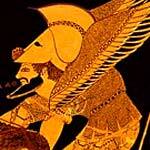 THANATUS (Thanatos) The winged Daemon of death. He was the minister of Hades. TROPHONIUS (Trophonios) The Daemon of the subterranean oracle of Lebadea in Boeotia. * Both the Greeks and Romans also used the title Pluto (Greek Plouton) for Hades. ** The Greek names for the three Moirae or Fates were Atropus, Clotho and Lachesis. The Romans called them Nona, Decima and Morta. *** The Romans used the Greek names for all five rivers of the underworld--Styx, Cocytus, Acheron, Lethe and Pyriphlegethon.